Being in college often means you do not have a luxurious kitchen. It does often means sharing a 100 sq. ft kitchen with 3-5 other people, which isn’t the easiest. Having a tiny kitchen makes me less interested in cooking, but Hisham Assaad’s blog, Cookin’ in Five Square Meters, has made me realize that no matter the size of your kitchen, you can still cook a masterpiece. 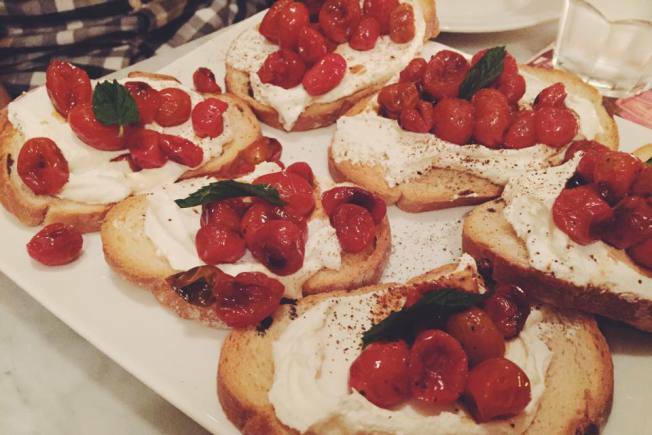 Labneh served on a piece of toast. I decided to try out the recipe myself since it looked so good! However, I could not find Labneh, which is a strained yogurt, so I used cream cheese instead. I used french bread which made the dish even more delicious! First turn the oven on and set the temperature to 300ºF. Then wash and clean the cherry tomatoes. In a large bowl, mix the tomatoes, salt, oil, and vinegar. Line a baking sheet with aluminum foil and lay the tomatoes with the liquid. Roast for an hour and a half, stirring occasionally to maintain an even roast. 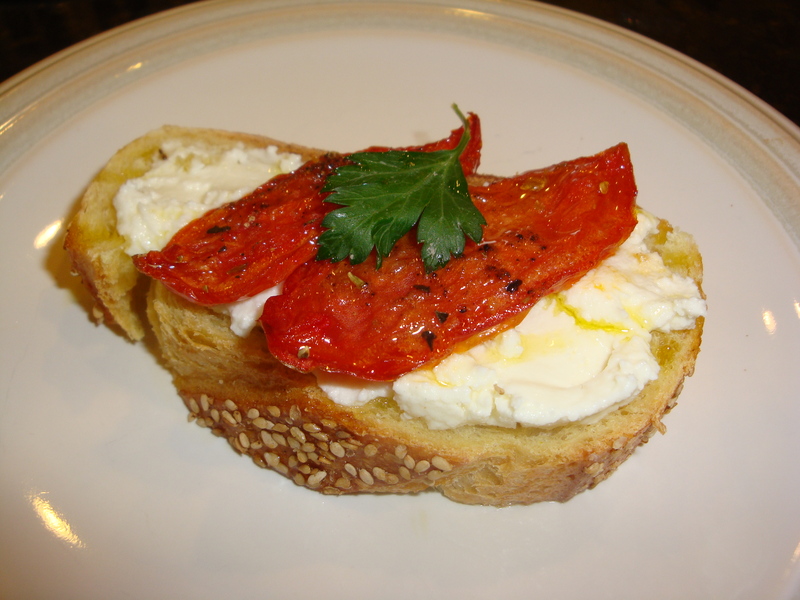 Then simply toast up a piece of bread, spread on the cream cheese and put the tomato mixture on top! Asaad’s blog really inspired me to branch out and make toast a savory item rather than sweet, so look out because I’m bringing toast to a whole new level! I really liked learning about his different culture, and the food he makes. Asaad mixed things together that I never would have thought to do, but it ended up tasting great! For more info on Asaad, check out his Twitter and Instagram! HishamAD on Tomatoes on Toast? !